Move over,Tupperware! Green-Cleaning parties are the new trend! Women in neighborhoods across the country are meeting together for these fun events to make their own home cleaning supplies. 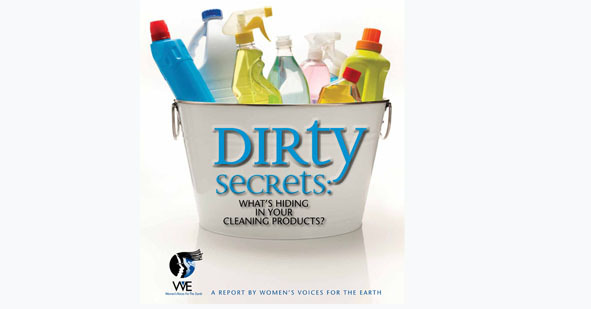 Woman’s Voices for the Earth is a national environmental health organization that started this new movement. They compiled research which found that more than 200 common cleaning products contain chemicals linked with asthma, reproductive issues, birth defects, and breast cancer. Many people don’t know that vinegar, essential oils, and baking soda are very safe for cleaning… and just as effective as toxic household cleaners found in stores, not to mention cheaper! Woman’s Voices for the Earth is now spreading the word and created a virtual kit that includes everything you need to host your own Green-Cleaning Event including recipes, container labels, and more. Already, hundreds of women have convened together with glass jars in hand to spend an evening mixing, stirring, and creating many household cleaning products. Laundry detergent, furniture polish, soft scrub… the list goes on and on! 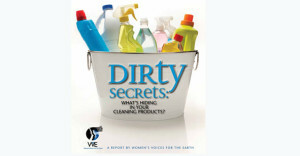 Check out their website at womenandenvironment.org … Now that’s good, clean fun!